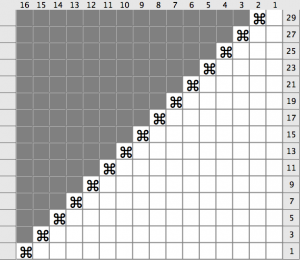 Most knitting charts come as rectangles but shawl shapes vary. Today I show you how converting charts for exotic shawl shapes like the s curve. When talking about exotic shawl shapes I’m referring to all these shapes which do not fit into common categories like triangles, rectangles, squares, circles, crescents and so on. There’s shapes which are just less commonly knitted (like polygon shawls, for instance) and some you virtually never encounter (like S-shaped shawls). 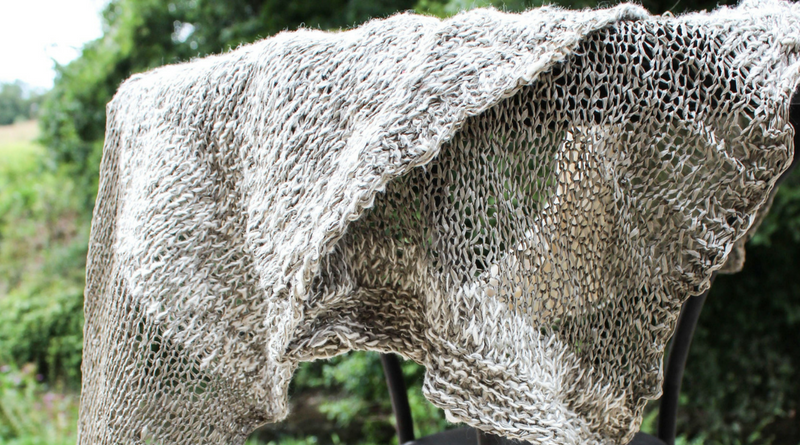 The trick to include stitch patterns in every shawl shape, no matter how complicated or exotic, is to know exactly how the shape in question is constructed. One of the best examples of illustrating this principle is the S-shaped shawl. S-shaped shawls are best worked by using short rows. Start with short row turns on the right side, then – in the next section – do the turns on the left side, and repeat. The trick for s-shaped shawls is the combination of triangles shaped by short rows and rectangles as shown in the picture below. S-shaped shawls are a combination of rectangles and short row triangles. But how does this play well together with stitch patterns? We have to determine the basic shape first. In the case of this stitch patterns it’s a combination of triangles and rectangles as shown above. You can start on either side. The only crucial step is to determine the side of the short row shaping, otherwise the result might be shaped more like a snake than an S. An example for a chart implementing such shaping is shown in the picture below. An example chart for a short row triangle. The white squares are the stitches you have available for any stitch pattern; the little loopy icons symbolize short row turning points. 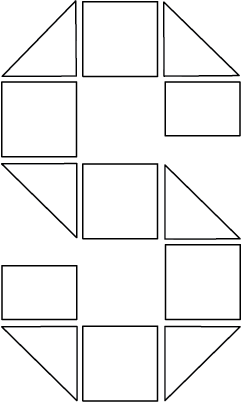 Compared to the sketch shown in the upper picture the chart shown would be the one worked in the middle left triangle (when working from bottom up).